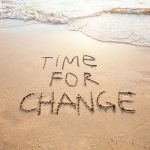 Change plays an unavoidable role in our personal and professional lives but how change-wise are we as individuals? And how ‘brain friendly’* are we when it comes to managing change? Personally, even the changes we expect can be challenging (studying, new jobs, relationships, parenting, ageing etc) and that’s before considering the unexpected changes which can blindside us on some otherwise normal day (loss of a loved one, loss of a job, illness, to name but a few). Professionally it can be easy to feel overwhelmed or jaded by what can feel like ceaseless change. Or maybe we are so passionate about bringing about change that we neglect our own well-being or that of others in the process. 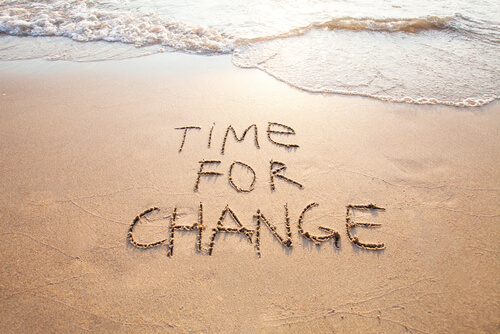 Inspired by the well-recognised and researched 8-week MBSR (Mindfulness-Based Stress Reduction) and MBCT (Mindfulness-Based Cognitive Therapy) courses our Mindfulness for Personal and Professional Change (MfC) course focuses on our relationship to change as opposed to health. It is designed to facilitate opening towards change and aid in cultivating inner resources to navigate times of change. The course also offers a rare opportunity to consider and actively begin to cultivate skills supportive of bringing about values-based change, both personally and professionally. * Hilary Scarlett, Neuroscience for Organisational Change. the ability to identify habitual patterns that can inadvertently draw us back into old ways. space to consider the importance of values-based personal and professional change. Duration: 8 weeks, 1 session per week of 2 to 2.5 hours, with an optional one day mindfulness retreat towards the end of the course. Led by an experienced facilitator and backed by scientific research presented in an easy to understand format, each session covers particular exercises and topics that are examined within the context of mindfulness. These include different forms of mindfulness meditation practice and mindful awareness and are designed to guide you through in establishing (or deepening) a meditation practice, thereby allowing mindfulness to become part of your day to day life. Personal workbooks and meditation downloads are provided for all participants, along with inter-class support. We have a diverse range of participants attend our mindfulness courses, from students and parents of young children, to teachers, corporate directors and healthcare professionals. This course is ideal for those interested in cultivating an inner resource, both to manage periods of change and to nurture changes they’d like to make in their personal and professional lives. ideal for people who see their health and personal growth as their own responsibility and who like to learn from their experiences, rather than looking for a quick fix. Mindfulness is a skill which takes both time and personal commitment to be learned. Whilst participants may well experience a change in ‘state’ as a result of ad-hoc meditations, the researched benefits of mindfulness come from the regular practice of mindfulness meditation and the possibility of changes in ‘trait’*. If you are interested in learning mindfulness we therefore ask that you read the ‘Commitment Required’ section of the course booking page. Yes, mindfulness is often both more challenging and more rewarding than people imagine. It is not unusual for people to attend mindfulness courses during periods of change and/or difficulty in their lives with many often experiencing significant benefits as a result. There are however times when attending a group mindfulness course might not be beneficial. 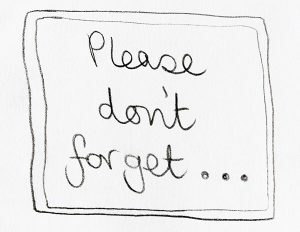 We would ask that you read through the ‘is this the right time for me to attend a mindfulness course’ section of the course booking page, contacting us as necessary if you have any concerns or questions. Towards the end of your course you will be invited to join us for a practice day. This is an important opportunity to both consolidate what you are learning on the course and to prioritise your wellbeing by taking a day out to relax, refresh and rejuvenate.